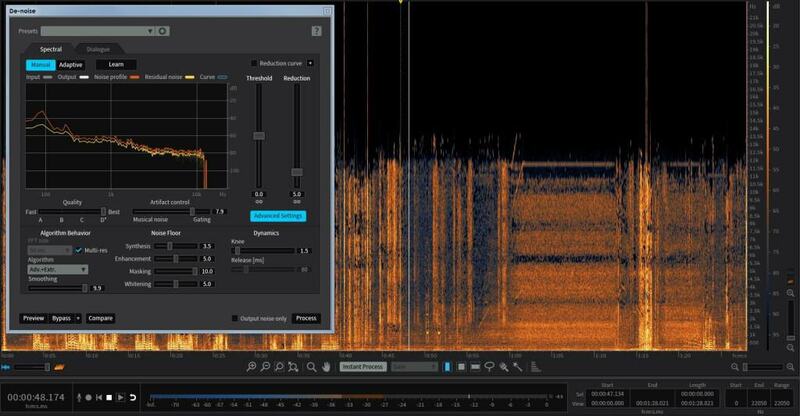 What is forensic audio enhancement? Forensic audio enhancement is the process of clarifying audio recordings to increase intelligibility. Processing techniques must be applied to unwanted noises like static, HVAC fans, hums and other distracting sounds first. These distracting noises are also known as “unwanted sounds”. Once the unwanted sounds have been reduced or removed, then enhancement processes can be applied. These enhancement processes will increase the “desired sounds” and overall sound quality. A forensic approach to audio enhancement or audio restoration preserves the evidence integrity as well as admissibility into court. Often times when a lay person processes an audio recording, these changes can effect a negative effect. The authenticity of the events change, and inaccurate representation of the events makes the recording inadmissible in court. A qualified forensic expert must follow the best practices established by the scientific community. This includes performing the audio enhancement accurately, document the procedures used and presenting his/her findings to the trier of fact. 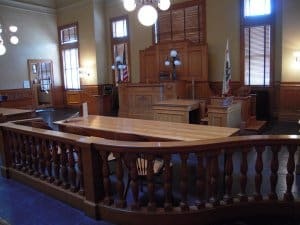 The rubber meets the road when the enhanced recording is presented to the court as an exhibit, which is ultimately a higher fidelity recording. Understanding the different tools used in both analogue and digital audio editing established the foundation for my career as an expert. For example, what tool should I begin with? What order should I apply the processes to acquire the best results? Should I start with noise reduction or equalization? Is compression or normalization more applicable to this audio recording? These are important questions to consider when beginning the enhancement process. The forensic services i apply through audio enhancement are based on the critical issues I hear in each section. A clean and well balanced work product can only be produced through a well ordered process chain. Critical listening is key for identifying sections of the recording that require audio enhancement. These sections are portions of the the original audio recording. Although each section is an original portion of the recording, they may require different depths of enhancement. This is based on their recorded characteristics which include levels, frequency ranges, or signal to noise ratios. For example, the first section may have two people talking quietly with a significant amount of background noise. The next section may have a more audible conversation with a train passing by in the distance. The third section may have no background noise at all but the lower frequencies of the subjects speaking suddenly become louder. Each section will require different processes to enhance them accurately which are identified best during the listening experience. Typically noise reduction will be the first step in the structured approach. Noise reduction is also the most effective processing technique for voice enhancement. This prevents the noise from becoming an issue in further processing. Compression will usually be applied next to raise and balance the level of the section or overall recording. Echo cancellation can also be applied to reduce the reverberance of a space. These reflections or additional noises can reduce the ineligibility of a recording. Equalization can now be applied to the less noisy, balanced signal. Gates and further compression can also help remove unwanted sound or boost desired sound. While this structure may not be right for every situation, it is a good structure to follow. If there is excessive background noise, a gate can be helpful before most of the other processors, especially compression. Occasionally equalization is also better as the first executed process. By drastically cutting a small range of frequencies, unwanted overtones in the human voice can be removed from further processing. Each recording may require any number of processors to reach the desired results. In some cases I may add as many as ten different processing stages to be confident in the audio enhancement process. We can also create a forensic transcript when necessary that verifies integrity of the content based on an audio expert’s opinion. The forensic transcript may become essential for verification of dialogue spoken or events that occur in the recording. This forensic transcript combined with the enhanced audio evidence makes an exhibit more powerful and more relevant to an investigation. Often times, admissibility of enhanced audio recordings through forensic audio enhancement is challenged in courts. The integrity of the recording can be challenged if the person performing the enhancements isn’t properly qualified to do so. In other words, the authenticity of the events may be effected negatively if the processes aren’t performed with accuracy. Enhancement processes must be applied carefully so that the authenticity of the events is not altered or misrepresented. The frequency reduction amount must be carefully identified in order to preserve the intelligibility of speech for voice enhancement. Our experts understand the dangers to enhancing a recording past it’s authentic limits. We document all processes and can provide them in report form so that your enhanced exhibits aren’t challenged or misrepresented. This is essentially establishing an authentic chain of custody for derivative work products created. I apply my forensic expertise to cases in the United States and many countries around the globe. Any and all formats of audio and video accepted. My retainer agreement is available on request. All travel expenses will be quoted through a day rate in advance. Ed Primeau’s Curriculum Vitae has several references which include notable cases he has testified and worked in.